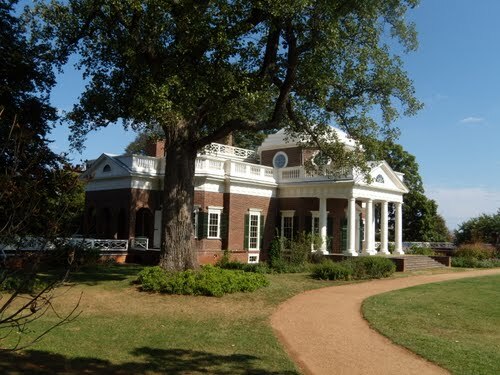 Monticello was the primary plantation of Thomas Jefferson, the third President of the United States, who began designing and building Monticello at age 26 after inheriting land from his father. 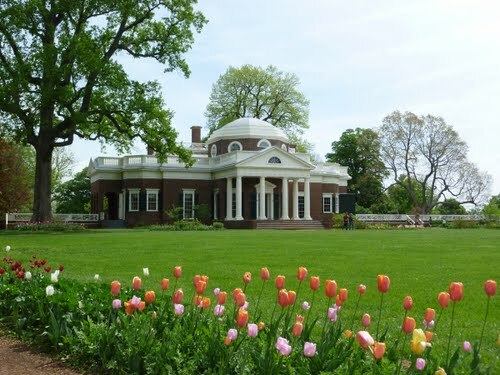 Located just outside Charlottesville, Virginia, in the Piedmont region, the plantation was originally 5,000 acres (20 km²), with Jefferson using slaves for extensive cultivation of tobacco and mixed crops, later shifting from tobacco cultivation to a wheat in response to changing markets. 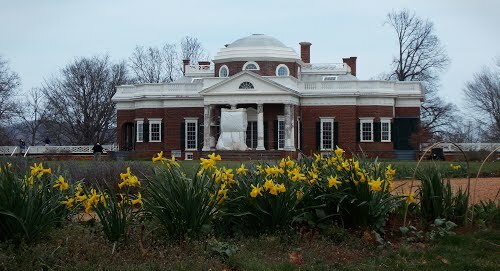 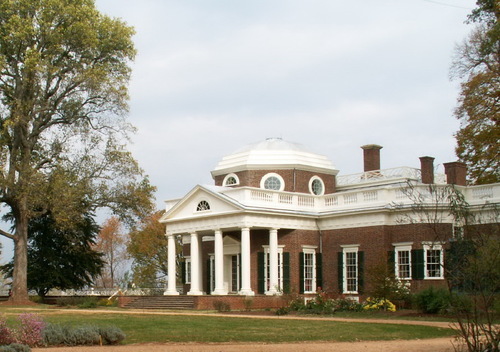 Jefferson designed the main house at the plantation, also called Monticello, initially using neoclassical design principles described by Italian Renaissance architect Andrea Palladio, subsequently reworking the design through much of his presidency to include design elements popular in late 18th-century Europe and ultimately integrating numerous of his own design solutions. 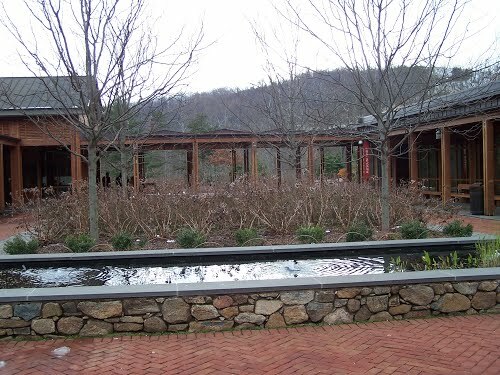 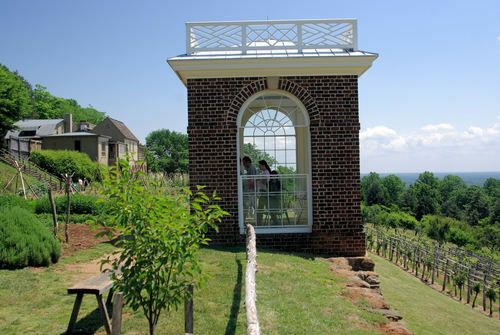 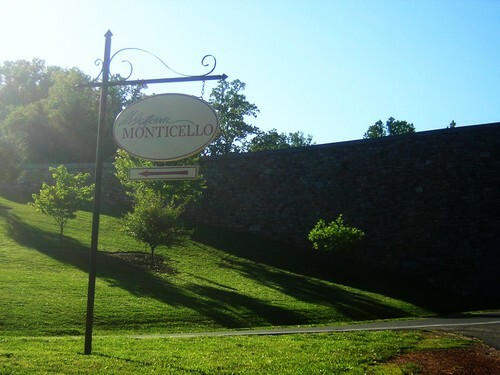 Situated on the summit of an 850-foot (260 m)-high peak in the Southwest Mountains south of the Rivanna Gap, the name Monticello derives from the Italian for "little mountain". 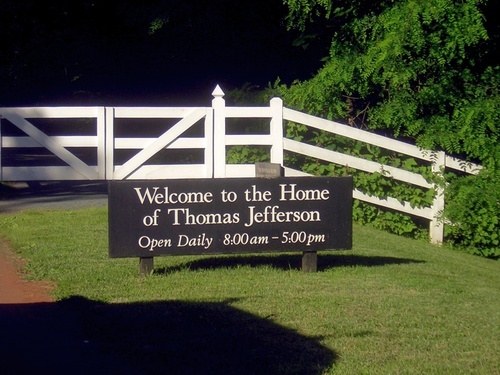 Along a prominent lane adjacent to the house, Mulberry Row, the plantation came to include numerous outbuildings for specialized functions, e.g., a nailery; quarters for domestic slaves; gardens for flowers, produce, and Jefferson's experiments in plant breeding - along with tobacco fields and mixed crops. 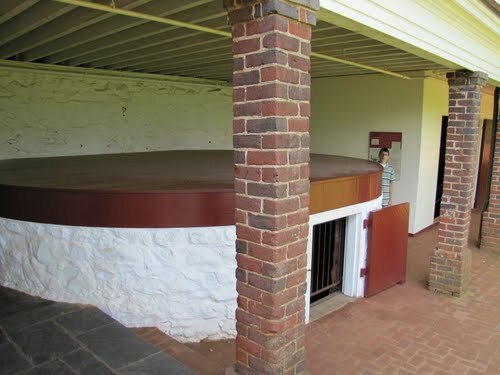 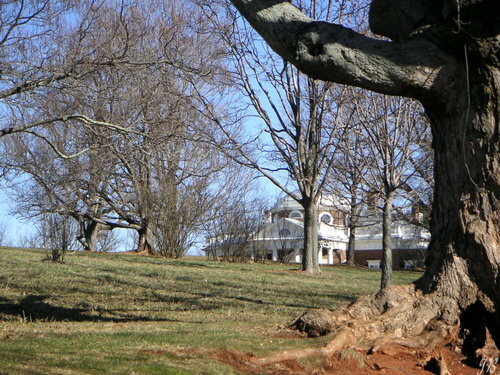 Cabins for field slaves were located farther from the mansion. 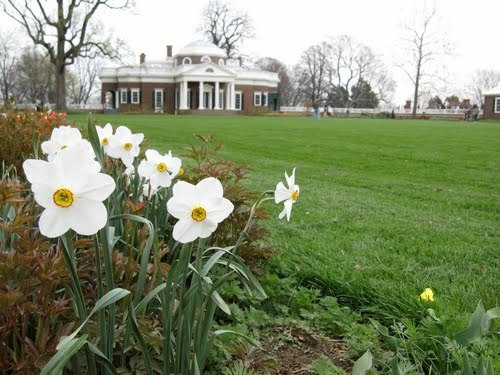 At Jefferson's direction, he was buried on the grounds, in an area now designated as the Monticello Cemetery. 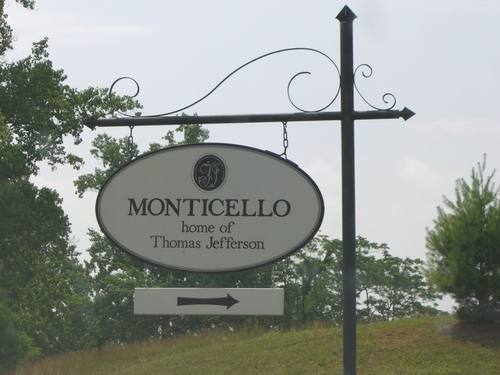 The cemetery is owned by the Monticello Association, a lineage society of his descendants through Martha Wayles Skelton Jefferson. 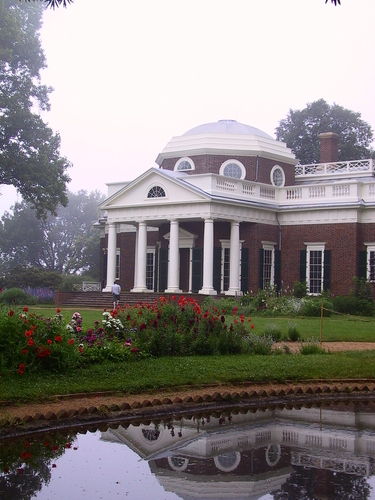 After Jefferson's death, his daughter Martha Jefferson Randolph sold the property. 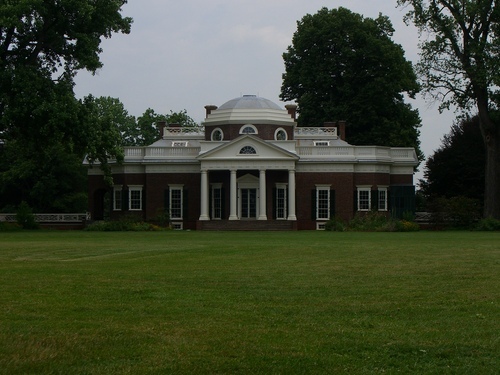 In 1834 it was bought by Uriah P. Levy, a commodore in the U.S. Navy, who admired Jefferson and spent his own money to preserve the property. 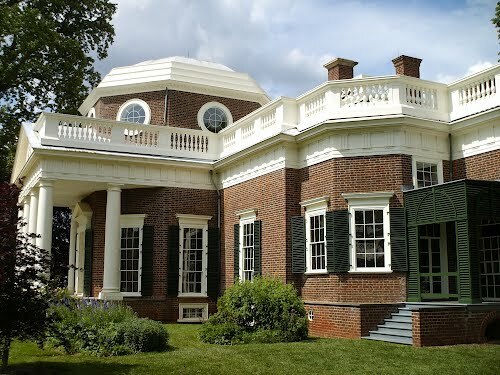 His nephew Jefferson Monroe Levy took over the property in 1879, he also invested considerable money to restore and preserve it. 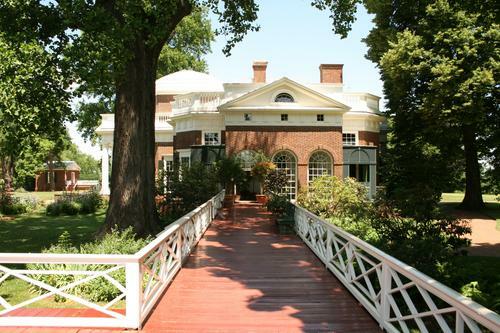 In 1923, Monroe Levy sold it to the Thomas Jefferson Foundation (TJF), which operates it as a house museum and educational institution. 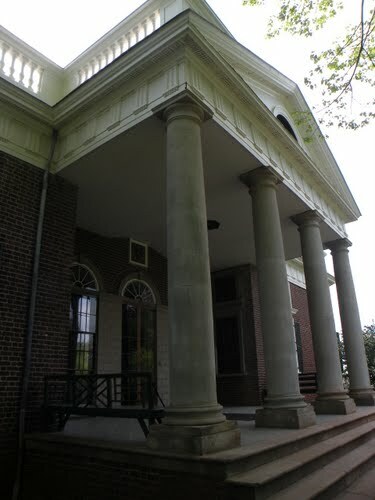 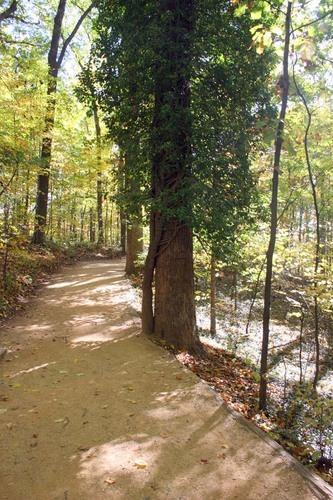 It has been designated a National Historic Landmark. 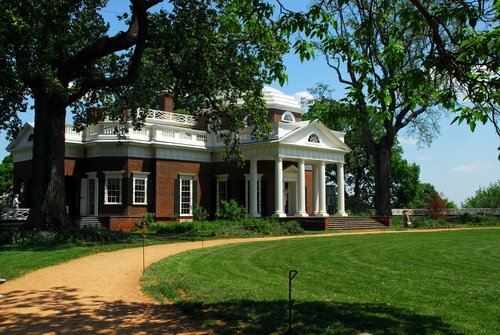 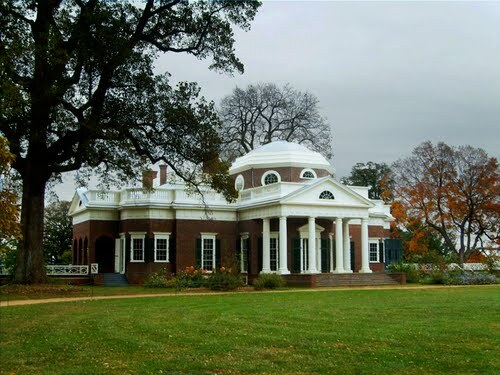 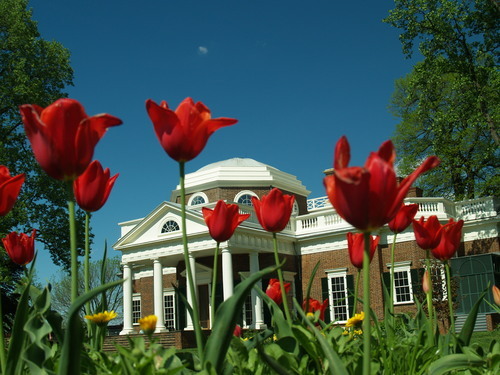 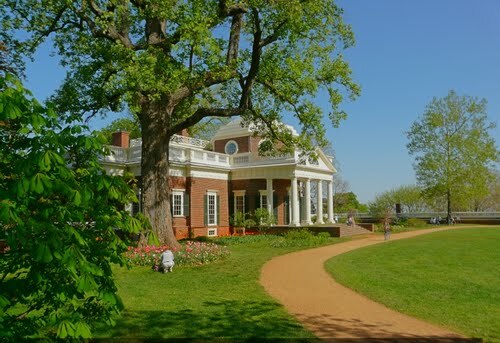 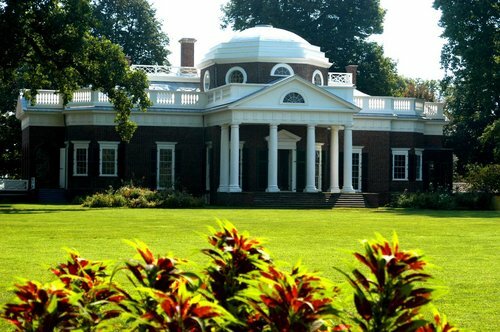 In 1987 Monticello and the nearby University of Virginia, also designed by Jefferson, were together designated a UNESCO World Heritage Site.